You love cycling. You love feeling the wind in your face and watching the countryside go by. With the Velocity 12 Rucksack, everything you need is right there on your back. 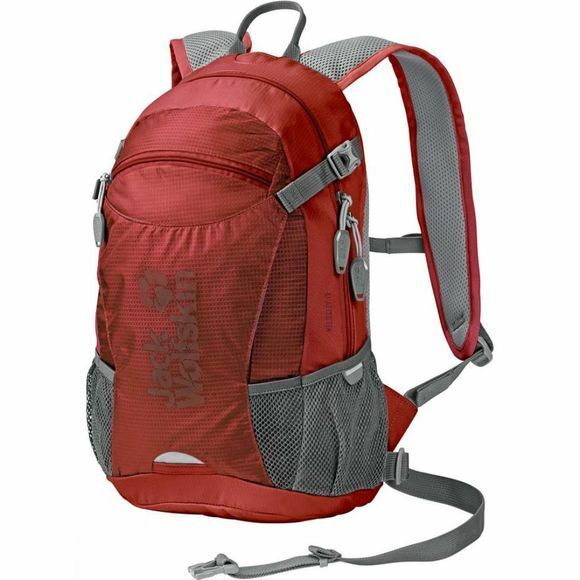 This small day pack with the ACS Tight back system sits so close to your body and is so flexible that you'll hardly notice it, which makes it ideal for high-octane activities. The central air channel, air permeable back padding and breathable mesh covering fabric cool your back as you move. Practical bike-specific details include a helmet pouch and LED light attachment at the front and a holster for your pump or water bottle.